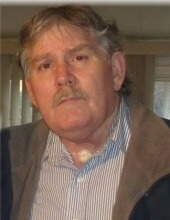 George “Butch” Walter Monhollen, age 66, of East Hwy 904, Williamsburg, Kentucky departed this life on Tuesday, November 13, 2018 at Baptist Health in Corbin, Kentucky. He was born on July 8, 1952 in Happy, Kentucky to the late William Monhollen and the late Grace (Peace) Monhollen. Besides his parents, he was also preceded in death by a sister, Judy Monhollen. He is survived by his wife, Connie (Lawson) Monhollen of Williamsburg, Kentucky; three daughters, Amy Monhollen of Cincinnati, Ohio, April Myers (Joe) of Cincinnati, Ohio, and Rachel E. Monhollen of Williamsburg; four grandchildren, Hannah Corbin, Ella Myers, Corbin Myers, and Reese Myers; one great grandchild, Rae Monhollen; four sisters, Lois Petrey (Carl), Betty Bundy (Ronald), Brenda Huddleston (Earl), and Darlene Davis (George), all of Williamsburg, Kentucky; one brother, James Monhollen (Donna) of Corbin, Kentucky; special family member, Sandra Monhollen of Cincinnati, Ohio; several nieces and nephews; and a host of other family and friends to mourn his passing. Visitation will be at 5:00 P.M. on Friday, November 16, 2018 at Croley Funeral Home. The Funeral Service will be at 1:00 P.M. Saturday, November 17, 2018 at the Croley Funeral Home Chapel with Rev. Jerome McCullah officiating. Following the Service he will be laid to rest in the Croley Addition of Highland Park. To send flowers or a remembrance gift to the family of George Walter "Butch" Monhollen, please visit our Tribute Store. "Email Address" would like to share the life celebration of George Walter "Butch" Monhollen. Click on the "link" to go to share a favorite memory or leave a condolence message for the family.